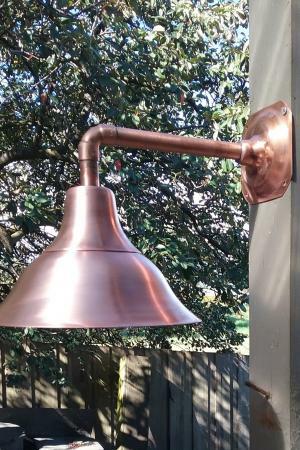 Handmade contemporary copper wall light. patina with age used outdoors. 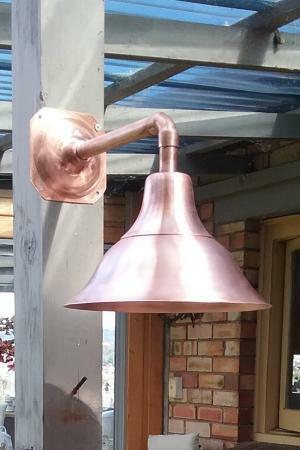 Dimensions of copper light may vary slightly. 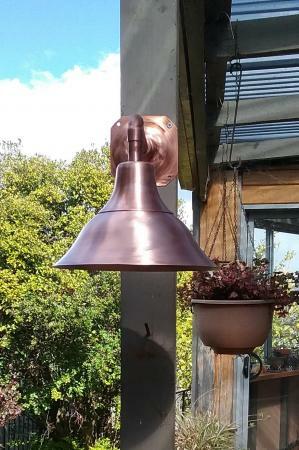 Brass light socket is supplied. Pls use a licensed electrician for installation.